The challenges that big data poses are mammoth and the questions of governance that are raised are only now being understood, human rights scholar Usha Ramanathan tells IHRB’s Salil Tripathi in this podcast. It is difficult to think of a remedy when society is only beginning to grasp the extent of technology and its pervasive control over lives. Surveillance is not a problem that affects only a few; the Aadhaar project in India shows that it can affect the lives of everyone in the world’s second-most populous nation. 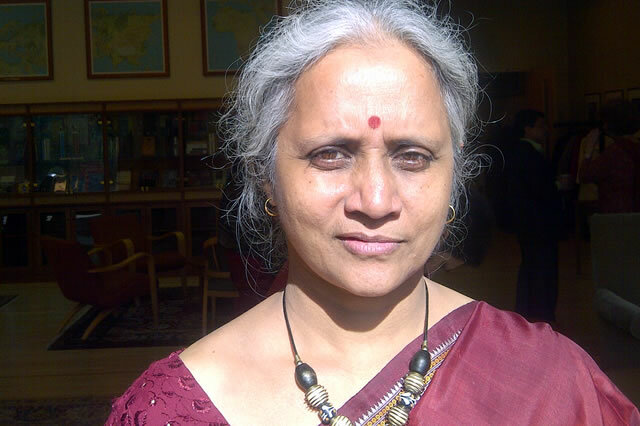 Usha Ramanathan lives in New Delhi, India, where she works on the jurisprudence of law, poverty, and human rights. She has written extensively and spoken on a wide range of issues, including the nature of law, constitutional rights, mass displacement, eminent domain, civil liberty, corporate accountability, surveillance, beggary, criminal law, custodial institutions, and the judicial process.